Being 25, I'm one of those women who think that prevention is the best intervention. So when I was in the market for a serum this opportunity presented itself at a very opportune time! 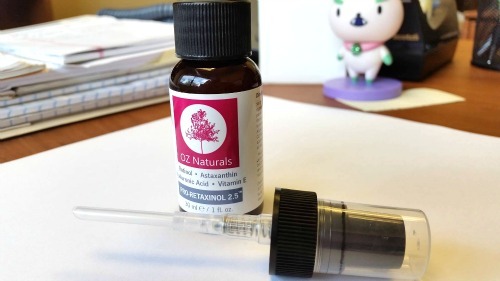 Today I'm going to be doing a short and sweet review on the OZ Naturals 2.5% Retinol Serum. The serum itself is an orangey color and comes with a pump that makes it super easy to dispense the product. Its a little watery, but its perfect to wear under a moisturizer. You must wear an SPF with it! So I tend to wear it with a BB cream with SPF or I wear it at night under my moisturizer. I used this product for about 2 weeks - I didn't have to worry about any fine lines to fill in, but I did notice a difference in how my skin was looking! It looks and feels more rejuvenated and the baggies that I had forming under my eyes are practically gone. I also have like super sensitive skin (Benefit Porefessional literally burned my skin), but I haven't had any kind of reaction to this serum. Overall I really liked this serum and would give it a solid report card. Its actually available for purchase on Amazon for $25. 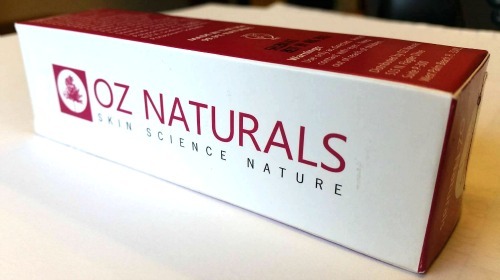 They've got other products for sale on OZNaturals.com which I definitely will be having a browse through! * This post is sponsored by OZ Naturals. Powered by BrandBacker.